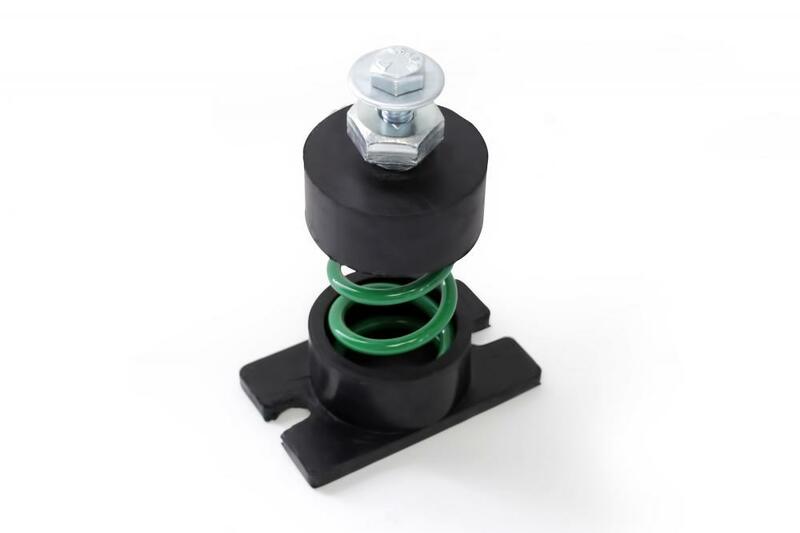 SMA series open spring mount are designed with built-in leveling bolt assembly, and recommended for installation of equipment such as pumps, fans, AC and air circulation units, compressors and other MSC. fixtures. The bottom plate features a neoprene acoustical friction pad. Top and bottom cups are made from natural rubber. Springs are made from high quality spring steel and are color coded for easy identification. 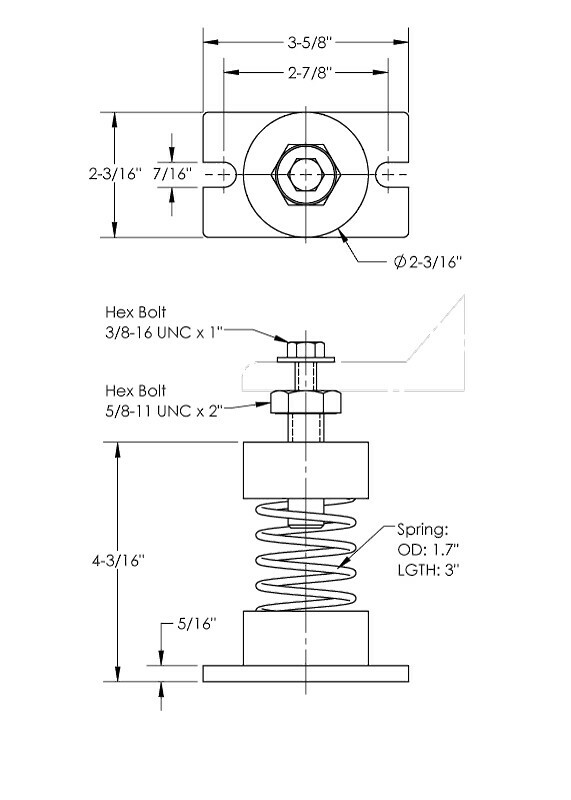 Springs have additional travel to solid load beyond rated load.